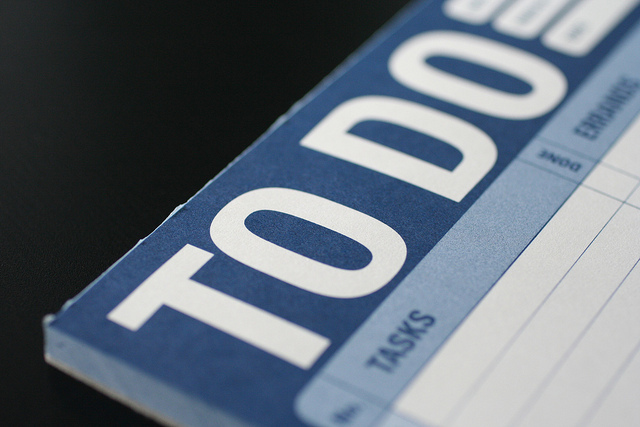 There’s a sense of satisfaction that comes with checking things off of a to-do list, whether a physical or mental queue. From editorial board meetings, to meeting citation checking deadlines and everything in between, law review submission season is full of planned and impromptu tasks. In the pursuit of finding articles to accept for your next issue, is your editorial team remembering to send rejection letters to authors too? As Ozan Varol, legal scholar and former editor of the Iowa Law Review, pointed out in a recent interview, authors are always eager to get word from the journals they submit to, even article rejections. Be sure that your board is sending manuscript rejections for the articles you choose not to publish. Authors want to hear a decision - no matter what you decide. To give authors the most prompt feedback possible, submit decisions as you finish reviewing individual articles on Scholastica by clicking “Make a Decision” on the manuscript details page and using a template rejection email saved in your journal’s decision workflow. If your board prefers to make decisions on multiple manuscripts at one time, you can also choose to reject groups of submissions right from your manuscripts table via the “quick reject” feature, which you can enable in your journal’s configuration options by clicking “enter a template to enable quick reject” and drafting a standard rejection email. Of course, once you’ve made all of your article selections there is always a chance that your board will have a group of submissions that still require a decision. Don’t leave those authors in the dark! If that’s the case, be sure to have your admin editor use the “mass reject” option to send decisions for all remaining submissions, so that authors get the answers they need and your manuscript table is cleaned out for your next submission cycle. When it comes to recurring communication, being able to send an email template response with one click is a beautiful thing. Don’t forget to check your Scholastica decision templates and any other outside email templates that you use from time to time, though. It’s important to ensure that they are up-to-date and that you are sending authors the right information. Check your existing Scholastica decision templates and be sure to follow the steps to set up a “quick reject” template if you haven’t already, so you can check off the first item on this list! If your admin editor handles all template edits, remind him or her to give them a quick once-over. When editing existing templates or creating new ones, rather than using a conventional text editor, you’ll now be able to make all of your updates using Scholastica’s new and improved editor. The new editor will automatically make all of the text you paste into the textbox uniform, so you never have to worry about tackling formatting errors again! Check out the text editor help doc to learn more about it and get a quick breakdown on how you can easily add formatting such as bold, italic, or bulleted text with the new editor. Authors will be especially grateful to receive reading and decision time updates from your board, so they can have a sense of where their article may be in the selection process. Once you’ve finished making article selections and you’re ready to publish your next issue, if you don’t want to receive rolling submissions throughout the year, be sure to officially close your journal on Scholastica. You can close your journal by going to the configurations page and checking the box that says “Suspend submissions for this journal.” Be sure to also include a message for authors in the text box available to let them know that your journal is closed and when you plan to open again. Once you’ve finished updating your author message, scroll down to the bottom of the page and click “Update Journal” to save your changes! As part of your submission season to-do list, be sure to also make a note to reach out to the Scholastica team if you have any questions about submissions or would like tips on how to improve your editorial workflow. Just email us at support@scholasticahq.com. We offer free training for individual editors or your entire board and are always happy to work with you to help improve your article selection process. If you’re done with article selections this time around, we can also offer you a free consultation to help you prepare to transition to next year’s board. Wanted to share some of the high level take-aways that Team Scholastica has been tossing around as we grow the business and improve academic publishing. Despite the ever-expanding nexuses between science, technology, and the law, Paul Enríquez notes that there are large gaps present between the law and outside disciplines. Scholastica Just Got A Makeover! Scholastica's public-facing webpages just got a new look! We hope the redesign will improve our user experience, by offering a more comprehensive overview of what we do and why we do it. Law Review Haiku Twitter Contest: Submit Your Haiku Before September 25th! Now through September 25, 2016 Scholastica is running a Twitter contest for the best law review haiku. Tweet a relevant haiku with the hashtag #LawRevHaiku for the chance to win. Gary Lucas, professor of law and executive associate dean for administration and finance at Texas A&M University, discusses his research and recommendations around quantitative legal scholarship assessments. Is your e-board considering launching an online supplement to expand your law review's web presence? In this blog post we overview the pros and cons of online supplements and some alternative options.